Chi Machine Benefits include muscle pain relief, increase in local blood circulation and oxygen via gentle motion of the entire body, energy increase, mental focus, stable back support alignment (used lying flat), promotes lymph drainage (as documented in Australian clinical trials), internal massage, physical and mental release from tension, fatigue and stress, the promotion of deeper, improved breathing, balance of the autonomic nervous system and relaxation. When the machine stops, a unique rush of Chi energy is felt from head to toe. THE ORIGINAL SUN ANCON CHI MACHINE. TIME TO GET YOUR BODY MOVING! Natural Health and Wellness Home Therapy. for all ages and body types. The Sun Ancon Chi Machine maintains and promotes general health of the body via passive physical stimulation, with no side effects, no drugs, no invasive procedures, no risk of injury. Daily movement of the body is the foundation of health and wellness on multiple levels. Without physical movement the body cannot maintain long term health. Green logo indicates authenticity of the Original Chi Machine. Strong, solid quality, durable and quiet - known to last 15 to 20yrs. Two year warranty - 14 day Free Trial, money back guarantee. USA UL approval for electrical safety - File E133341. Lloyd's Register Quality Assurance - LRQA ISO-9002. First invented in 1990 - the number one best selling Chi Machine in the world. Known to last 15 to 20 years. Regardless of extreme weather conditions, the Chi Machine may be used within the comfort of your home to keep you healthy and well. No matter what age you are, lack of physical movement is detrimental to your well being mentally, emotionally and physically. The Original Chi Machine is the result of 38 years of medical and scientific research by renowned Japanese scientist Dr. Shizou Inoue. He invented the Chi Machine to enable the human body to gently sway from side to side in a figure of eight (the same way a goldfish swims), with absolutely no pressure or stress to the body as in traditional forms of exercise where the body is normally erect. This motion may also be compared to a masseuse holding your ankles and swinging you from side to side after Japanese Shiatsu massage. versus imitation machine multiple incorrect speeds. One Set Speed: Precise oscillation (movement from side to side), at approximately 144 cycles/minute as designed by Dr. Inoue - a multiple of the average pulse rate (72) and the cerebro-spinal pump rhythm (12) synchronized with heat rate, blood pressure and spinal alignment - creates a balanced, rhythmic, relaxing wave-like motion throughout the entire body in a perfect figure of eight. Faster or slower speeds will throw off the figure of eight and cause imbalance, lessening the benefits of 144 cycles. Intentionally designed to accommodate all body-types taking into consideration all ages, height, weight and health status. NOTE: The real Chi Machine, known as the Sun Ancon, is NOT sold on Amazon.com or eBay - only imitations misleadingly using the name Chi Machine. 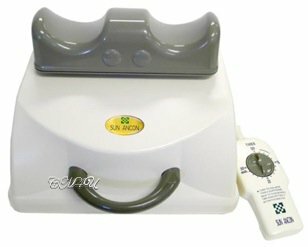 The original Sun Ancon Chi Machine is for virtually everyone including stressed parents, hyperactive children and unfocused adults, students that need mental focus, office workers that sit all day, everyone that lacks energy, hard working construction workers and manual laborers, athletes, military personnel, the physically challenged, and sedentary senior citizens. Famous Australian athlete Solomon Haumono. A great choice for athletes and coaches. Athletes: Knock out your competition with this secret weapon! The Sun Ancon Chi Machine may be used for warming up, enhanced performance, mental focus, and to cool down after engaging in athletics, body building, martial arts, dance, ballet or yoga. Increased oxygen promotes dissipation of lactic acid from sore muscles if used after a workout session. The frail, physically challenged, seniors, wheelchair bound or bedridden: Due to its low impact operation, the Chi Machine is extremely valuable to those who through age or physical limitations have reduced activity. These people in particular benefit tremendously from the gentle motion of the machine and the additional oxygen which stimulates mental focus. The machine temporarily relieves muscle aches and pains enabling seniors to be more comfortable and mobile, allowing you to spend quality time with your grandparents and loved ones, both mentally and physically. The Chi Machine is used whilst lying down with no pressure, stress or tension applied to any part of your body so there is no risk of injury. 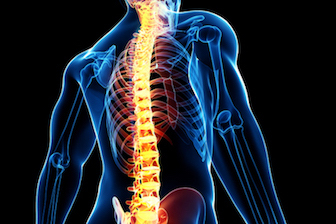 Unlike high impact, vigorous exercise, heartbeat and blood pressure do not increase and there is no stress to your back, the spine, joints, muscles, ligaments, heart or lungs. For those who are wheelchair bound, simply place the feet on top of the ankle rest. Some of us hate exercise, it's exhausting. Everyone can find benefits: Computer workers with fatigue, muscle pain and disrupted sleep patterns, exhausted physical laborers, those who endure long hours of commuting, sales people on their feet all day, chiropractors needing to relax their patients, children lacking mental focus, adults who simply hate to exercise but want to, anyone that needs to calm their body down from daily physical and mental stress ... the Chi Machine makes a difference both emotionally and physically. Raise your hand ... who can't spare 5 to 10 minutes?! 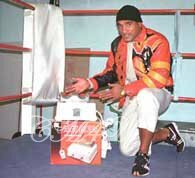 This is the original Chi Machine, known as the Sun Ancon. All other 'Chi Machines' are imitations. Is your country in the top ten? Obviously, unhealthy acid diets, sedentary lifestyles and high stress, plus prescription drug dependency and poor health care systems, all need to be looked at and dramatically transformed. Inactivity is a huge problem in today's modern world, especially in big cities and Western cultures where taking a car is the preferred mode of transportation. Physical activity must be included on a daily basis in order for the body to remain healthy and well. Prevention is a lot easier and a lot less expensive than the cost of dealing with illness, disease and opioid addiction. Perfect for days when you can't be outdoors. 1) The Chi Machine is recognized and registered as a Medical Device in Japan, Australia, Canada, USA. 2) Pub Med - Australian clinical trials of the Sun Ancon Chi Machine. 3) Highly rated by hospitals and doctors worldwide as an important clinical, medical and health maintenance unit. 4) Health Care Professionals - Masseuses, physiotherapists, doctors, chiropractors, clinics and day spas across Canada, Mexico, Europe, Australia and Asia, are utilizing the Sun Ancon Chi Machine's health and wellness benefits in their business practice as well as their personal daily lives. 5) Tens of thousands of people across Asia, Australia, North America, Europe and Scandinavia use their Sun Ancon Chi Machine on a regular basis with remarkable results being reported consistently. 6) Multiple Global Patents - over 5 million Sun Ancon Chimachine units have been sold worldwide since 1990. 7) 'The Chi Machine' is a trademarked name belonging to HTE (Hsin Ten Enterprise). 8) The very first original Chi Machine in 1990 was known as the Sun Harmony but shortly thereafter changed to the Sun Ancon, and is sold exclusively worldwide by HTE. 9) The Sun Ancon Chi Machine continues to build a solid reputation with medical professionals as well as the public, and has been showcased on TV four times worldwide, including "The Doctors" - a respected daily TV health show, broadcast across the USA, Canada and Europe. 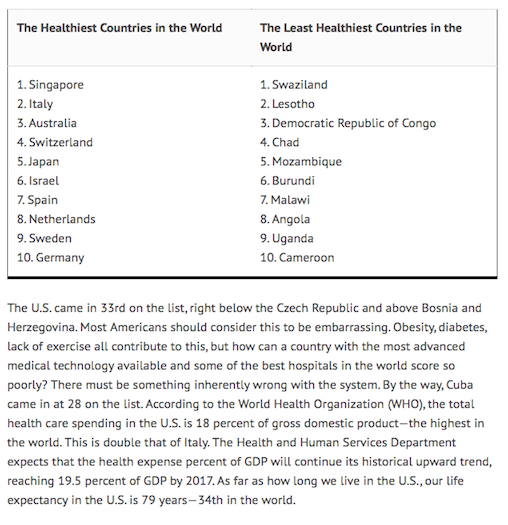 10) Japan ranks as having one of the highest health levels in the world. The Sun Ancon Chi Machine was created in Japan. Simply lie down and relax. Benefits: This position exaggerates the curves of your spine and will impart a stronger motion to your spinal column. Wonder why the machine is called the CHI machine? Chi is the life force energy within every living thing, stimulated and enhanced by the movement of the Chi Machine. A wave of this energy can be felt sweeping gently thru the body, after the Chi Machine stop moving. Chi is a metaphysical, universal energy well known by ancient cultures as well as throughout the world today, used in ancient healing modalities such as Reiki and Pranic Healing and by the Martial Arts such as Chi Lel, Tai Chi and Aikido. Fascinating information on how the Sun Ancon Chi Machine reflects changes in the aura. a) Nutriment from food intake. b) Oxygen - from physical movement, which fuels the body and brain with oxygen which in turn carries nutrients to the cells. Oxygen depletion can lead to just about every possible illness you can imagine. Oxygen and water are the top two most vital keys to health and wellness. So simple, but 99.9% overlooked, forgotten or disregarded by many of us. Bacteria, viruses, parasites and disease all thrive in a low oxygen environment, commonly seen in stagnant pools of water. The body is 75% water. 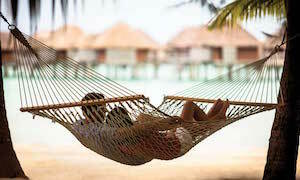 1) Do you wake up tired, even after eight hours of sleep - sleep restlessly. 2) Do you suffer from constant fatigue - have poor physical endurance. 3) Do you tend to be moody, irritable, tense, on edge. 4) Are you frequently constipated. 5) Do you have frequent pain in your shoulders, neck and/or back. 6) Do you have weight problems. If more than 3 of the above apply to you, your body is experiencing stress, oxygen and water depletion. conducive to health and fitness. Emotional stress and largely sedentary activities contribute to chronically low levels of oxygen which will leave you feeling tired and depleted. The fastest and most effective way to change this, is to exercise - to get your body moving - but many people find exercising tiring, exhaustive and time consuming. However ... long-term consequences for not exercising can prove to be miserable. 1) Use of air conditioning and heating equipment causes the weakening of skin and lung function. 2) Smog, contaminated water supplies, contamination by agricultural poisons, noise increase. 3) Increased height and density of surrounding concrete building structures and power lines. 4) Food additives, medical or street drugs, alcohol, cigarettes or cigars. 5) Cell phone use which has proven to be physically and mentally harmful - yet to be fully exposed. 6) Rich gourmet food, fast food, processed food, - overeating combined with little or no exercise. All of the above factors rapidly cause the quality of your daily living environment to worsen and the quality of your health to decline. Passive exercise helps to counteract these environmental situations and conditions by stimulating and rejuvenating the depleted body. Dr. Inoue, creator of the Chi Machine. Dr. Inoue, Chairman of Japan's Oxygen Health association, spent over 38 years researching the relationship between body movement and the body's natural oxygen levels and requirements. 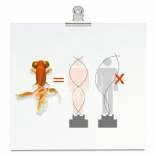 Inspired by an exercise incorporated into the Martial Art of Aikido, named the goldfish exercise, he discovered that the undulation of the goldfish's spine, released the required oxygen the fish needed to survive. He also noticed the flexibility of the spine due to the very specific side to side motion which is hard for humans to duplicate on their own accord. Japanese engineers worked with his concept and created the technical design for the original Chi Machine which uses minimum effort and achieves maximum results through the specific figure of eight motion, and one set speed, exactly as envisioned by Dr. Inuoe so as to receive maximum health benefits. 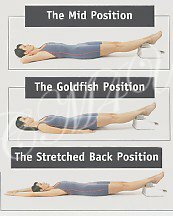 The actual side to side goldfish motion massages and stimulates the Autonomic Nervous System housed within the spine, further promoting rest and relaxation. The motion of the Chi Machine is known as Passive Aerobic Respiration Exercise. Benefits Without Leaving Your Home Or Office. The Stretched Back Position - Palms facing up. Placing the arms above the head creates traction throughout your whole body helping to temporarily relieve muscular tension, stress and discomfort. The original Chi Machine creates effortless, sweatless, physical movement, regardless of age, health or fitness level - simply lie down and relax in the comfort of your own home - an excellent option when the weather is not conducive to outside activity. At work? Take 10 minutes to refresh, regroup, calm the body and boost mental focus. 1) The Chi Machine does NOT exercise or build muscles which is considered anaerobic and requires weight resistance. 2) The original Chi Machine has NEVER been promoted or intended for serious weight loss. However, it may be noted that Australian clinical trials (see below) noted weight loss, as reported by countless users. "One of the wonderful benefits of The Chi Machine is that it allows the body to work effortlessly with its own natural frequencies. ... Each person's body is influenced by the sum total of all the physical, emotional, mental and chemical forces that it is exposed to, and its ability to respond effectively to those forces. As a result, each person will also respond differently to the normalization of fluid functions in his/her body. If we pin our hopes on any one thing to take away our discomfort, we will be disappointed more often than not. What is most important is not that a specific symptom or condition reduces or disappears, but that the effects are produced to help the body perform to its full potential. Ultimately, this is the way the body moves toward better health." - Dr. Jan Kirschne, "Healing From The Inside Out". The Importance of your lymphatic system. Your Lymphatic System MUST be activated daily in order to remove toxicity. Lymph can only be moved around the body as the result of physical activity. The Lymphatic System is spread like a tree, throughout your body delivering nutrients to the cells and removing the waste that is left behind. it is vital to take daily actions to stimulate the flow of lymph to assist in the removal of waste products from your body. In fact it is so crucial to your health, that you would die within 24 hours if this system quit working. The Lymphatic System - which also includes the spleen, thymus, tonsils, and bone marrow - is constantly defending the body against millions of microscopic attackers. The lymphatic system is given considerable attention in the treatment of toxicity as well as reducing edema. Tiny vessels carry a colorless fluid called lymph. Suspended in the fluid are lymphocytes (white blood cells) whose purpose is to fight disease and infection. The network is connected by small bean sized organs called lymph nodes. Lymph nodes - which are mostly in the arm pits, neck, groin, chest and abdomen - filter the fluid and initiate your body's immune system response. You have 3 times as much lymph fluid in your body as you do blood but, unlike blood there is no pump to circulate the fluid. Lack of exercise, shallow breathing and even anger causes the lymphatic system to become sluggish, which can cause circulation to the cells to be impaired. This, in turn, can effect the removal of toxic waste. Exercise, massage and deep breathing will stimulate the Lymphatic system, enable detox, cleansing and pain release. If toxins are not eliminated from your cells effectively, numerous disorders effecting the Immune System will develop. Exercise effectively and speedily moves body fluids, aiding the lymphatic system in detox, extremely important for those who get very little exercise, the elderly, the sick and people in physical rehabilitation. Every healing art on earth involves getting oxygen to cells. Dr. C. Samuel West - Chemist and Lymphologist. Dr. West has dedicated a lifetime to studying the Lymphatic System - "When the lymphatic vessels are properly activated they have the ability to pull out the dead cells, poisons, and excess water from around the cells to get the cells into what is called the "Dry-State". When we do what is necessary to get the cells into the "Dry State" there is no excess water around the cells, only enough water to fill the crevices around the cells, and that is all. This is the condition that all the cells in your body must be in to get oxygen from the blood stream. Furthermore, you don't get pain, loss of energy or disease (of any kind) when the cells are in this condition." - Dr. Samuel West. One of the world's top ten leading authorities on Lymphoedema, completed16 months of scientific clinical trials and research on the Chi Machine, at the prestigious Medical Center of Flinders University in Adelaide, South Australia. Prof. Piller found the machine to be an extremely efficient method for the use of lymph drainage. The trials were a success. Flinders University - who have absolutely no vested interest in the Hsin Ten Company (HTE) - issue x3 booklets (Secondary Lymphoedema, Venus Oedema and Patient Testimonials), on the results of the medical trials for their patients, their staff and for the public. The Sun Ancon Chi Machine Experience. and easy to use, anywhere, anytime. Time to Chi: Lie on the floor, place your ankles on the foot rest, relax and set the timer. Once the swaying motion of the Chi Machine stops, you will experience the tingling rush of "CHI" (pronounced 'chee'), that sweeps from your toes to your head and then slowly fade away, leaving relaxation, calm and inner peace. In fact, the Chi is sending messages throughout the internal body. Those who practice 'Chi Gong', and martial arts are already aware of this phenomenon which is our natural life force energy, present within every living thing. Arms relaxed by your sides, palms down. Benefits: good for releasing tension and relaxation. 1) Beginners may use the machine for 4-6 minutes, once or twice daily, gradually adding minutes. 2) Advanced daily users may set timer for 15-20 minutes maximum per session. 3) Frail, sick and toxic bodies should begin at 1-3 minutes and progress slowly until the body becomes adjusted. Within 3 months of post surgery or bone fracture. If suffering from open wounds or infection. During pregnancy (best used a few weeks after normal delivery to support recovery). If you have an old, unstable pacemaker. If you suffer from epilepsy. If you have serious heart disease (unable to walk). Enjoy benefits every single day - best time of day seems to be first thing in the morning before breakfast to kick start the body for the day ahead. May use after dinner, before bedtime, to relax and de-stress the body. Consistent use creates cumulative healing and maintains health. When would NOW be a great time to begin? KNOWN AS THE SUN ANCON. Same price - Request a shipping quote. delivery - money back guarantee. FAST DELIVERY 1-5 business days USA. Shipped from head office Los Angeles. "Mix and Match" - buy x2 or more. Buyer Beware Imitation 'Chi Machines'. Following the dramatically brilliant results obtained by using the Original Chi Machine, multiple imitation chi machines are available in the USA, Australia and Europe. Many imitations use multiple speeds which have allegedly caused increased blood pressure, headaches, knee problems and lower back pains. Imitations are commonly returned due to lower back pain or knee pain, caused by incorrect oscillation speed. Many reportedly breakdown within 12 months due to plastic parts and weak motors that burn out. The original, known as the Sun Ancon Chi Machine, was created after 38 years of scientific research by acclaimed Japanese scientist Dr. Inoue before being invented in 1990. HTE is Dr Inoue's exclusive choice for international distribution. Not sold on Amazon.com or eBay. 1) Undergo clinical trials and medical research. 2) Be classified and regulated as a medical device in 4 countries, Japan, Australia, Canada, USA. 3) Achieve global patents in 26 countries - and win International awards. This website is for informational and educational purposes and is not intended to provide individual medical advice which may be obtained from your chosen health practitioner. Chi Machine International does not claim that any HTE product presented herein will diagnose, treat, cure, mitigate or prevent any disease. Always ask questions, research everything.